There are a few different ways I work one-on-one with clients. Although I was a basketball player, I am a cheerleader at heart. I love to motivate and guide people to live their most optimal life. With that said, for people needing a bit of guidance and education, I offer coaching/education sessions, both online and in-person. 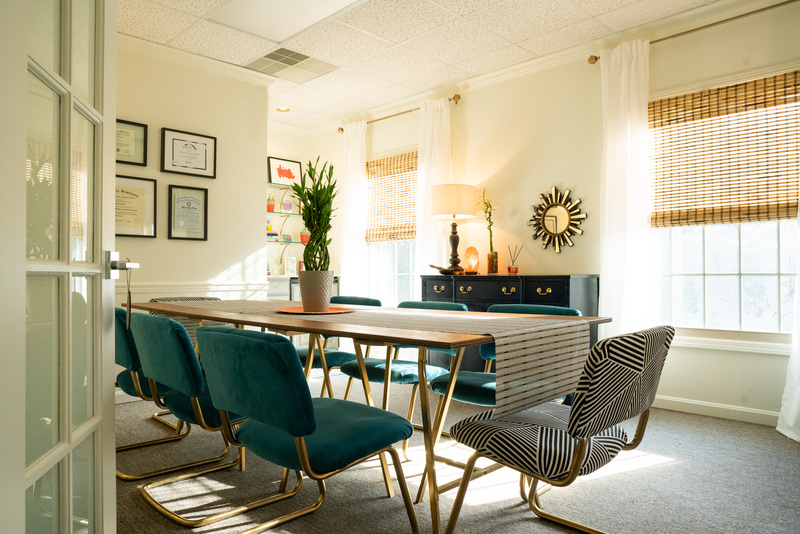 For clients who want to go more in-depth, I offer therapy in the states in which I am licensed as a marriage and family therapist (Kentucky and Texas). I work with adult individuals and well as couples. Currently, I see these clients in-person. If you are interested in therapy and would like to meet via phone or Zoom, please let me know! Most people have a good sense of which category they feel best in, however, if you aren’t sure what you’re needing, please let me know and we can figure it out together. You can connect with me HERE. Either way, our first session will be a chance for us to chat about your situation and for me to understand your goal for us working together. Whatever you decide, I look forward to working with you! Decrease your anxiety, irritability, and frustration and increase your sense of clarity, balance, and peace. Work with me and learn easy-to-use skills and tools to help you appropriately handle all of life’s stressors. Are you ready for a shift in your perspective and mindset? I'd love to share with you my publication, "Five Ways to See Mindfulness Differently."